The CoolTouch CTEV is a minimally-invasive way to eliminate stubborn and cosmetically undesirable varicose veins. The CoolTouch CTEV treatment is an endovenous ablation method that uses a special laser fiber (coupled with an infrared 1320 nm wavelength device) to treat unwanted veins. Unlike other laser treatments in San Diego, the CoolTouch CTEV targets water within the walls of the veins instead of hemoglobin. By using the ablation method in addition to an infrared laser, CoolTouch CTEV can bring long-lasting and effective vein removal results without the need for invasive surgery. A patient is an excellent candidate to undergo laser vein removal if they are experiencing unwanted leg veins smaller than an inch in width. Benefits of the CTEV laser in opposition to surgical vein removal include less risk of infection, less skin irritation, and minimal downtime. 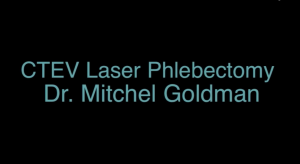 CoolTouch CTEV is by far the most renowned laser device for the treatment of leg veins and is highly recommended by the team of expert vein specialists and phlebologists at CLDerm in San Diego. This treatment has a 99% efficacy rate and is completely outpatient, which means that you’re able to return home the same day as your procedure! Compared to other vein removal treatments, CoolTouch CTEV is less invasive, provides increased patient comfort, and results in faster healing time. Patients report little (if any) bruising and swelling, and downtime is extremely minimal. 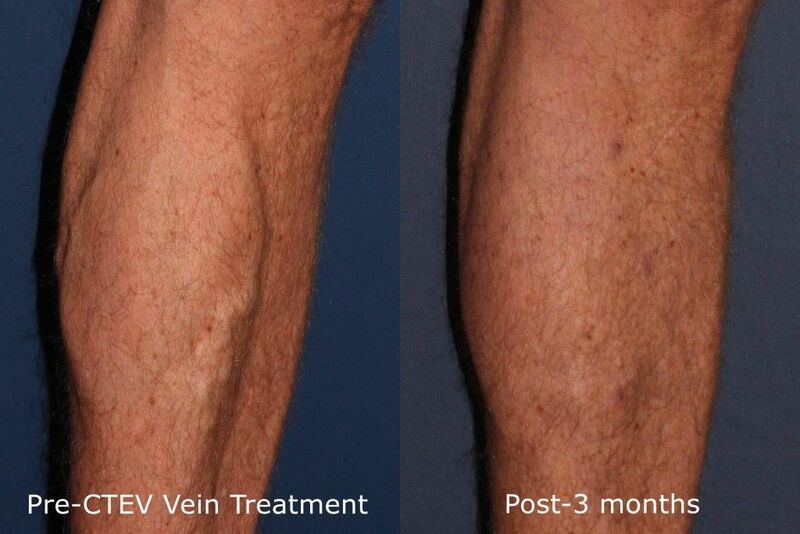 Contact the vein removal experts at CLDerm today to find out if this treatment is right for you! Q: Am I a good candidate for CTEV laser vein treatment? A: If you’re experiencing unwanted spider veins on your legs, hands, or face, you may be an excellent candidate to undergo treatment with the CTEV in San Diego. To learn more, we encourage you to schedule a consultation with our team of world-renowned doctors. Q: Who should administer CTEV laser vein treatments to get rid of blue veins? A: It’s very important that you entrust an expert cosmetic laser dermatologist to help treat your unwanted spider veins. Treatment with the CoolTouch CTEV requires an extreme knowledge to target and diminish the specific problematic veins. Q: Will I need multiple laser treatments to see results? A: This is completely dependent on the patient and the area being treated. A patient may enjoy excellent results after just one treatment, while another may require 2-4 treatments before seeing optimal results. Q: What is the cost of varicose vein treatments in San Diego? A: The cost of laser vein treatment in San Diego cannot be addressed until a doctor is able to see you in person to determine which areas will need to be treated, and how many treatments will be necessary. After this, we will be able to give you an accurate estimate. Q: When will I notice results? A: After treatment with the CoolTouch CTEV in San Diego, patients can appreciate excellent results weeks after their treatment. It’s important to be patient after your treatment while your legs heal and positive results continue to be shown. In some cases, CTEV may be combined with non-invasive sclerotherapy injections to provide a more complete vein removal treatment. Q: Are there any other treatments comprable to CTEV? A: Venaseal is a similar technology which uses glue to close the vein. CLDerm was actually a site for the research leading to it’s FDA approval. Learn more about Venaseal.